I get the impression that Bremerton, the largest town on the Puget Sound Kitsap Peninsula, was quite the happening place back in the day. The downtown area is not big, but its density suggests it once upon a time was lively. These days, little is left of what once might have been, but with new developments around the ferry terminal, and a relatively burgeoning arts district, there are signs of better things to come. It makes sense. Seattle housing prices are blasting past what an average worker can afford, and moving across the sound could serve as an alternative to the outskirts of King County. A quick ferry ride isn’t worse of a commute than anything Seattle has to offer, provided the place you venture from has something going for it. Bremerton isn’t there yet, but if spots like Nightshade keep popping up, it could get there. Step inside the café, and there is little to suggest you’re in a forgotten naval town. The interiors are as comfortably Pacific Northwest as anything you find in Seattle or Portland, and the menu has a large selection of vegetarian options. Even the clientèle is young and happening enough to suggest that Bremerton’s arts district strategy is working. You can get jars of Jean-Claude Van Jam here, which should add enough detached irony to please even the most discerning hipster. The food matched the standards of the interiors during our visit, and my chorizo breakfast burrito, while not exactly a steal at $15, should be a solid entry in any tortillaphile’s repertoire. The beef was locally sourced from Sequim’s Clark Farms and was well enough seasoned to not disappear in a sea of ranchero sauce. Granted, I’m not sure the latter came as advertised, as it leaned more toward being a kicked up tomato sauce. That might sound odd (largely because it is) but it worked for me, and the result was a lighter meal than I expected. Inside the tortilla, the potato mix had the right bite: not too firm; not too mushy. The hardiness of it and the meat contrasted the fluffy eggs and a sour cream/salsa mix within a balanced flavor palate. The burrito wasn’t necessarily life-altering, but it certainly wasn’t worse than the baseline in larger, regional cities. Hop across the sound, and the equivalent meal would be comparable in quality. Props, too, to the fry bread, which was not your typical county-fair offering. Nightshade’s take was not deep-fried beyond recognition, and instead approached something akin to fluffy and rich. The restaurant, then, feels a whole lot more urban than what one would expect from Bremerton. It isn’t the poster child of a brave new town, but instead for what it strives to be. 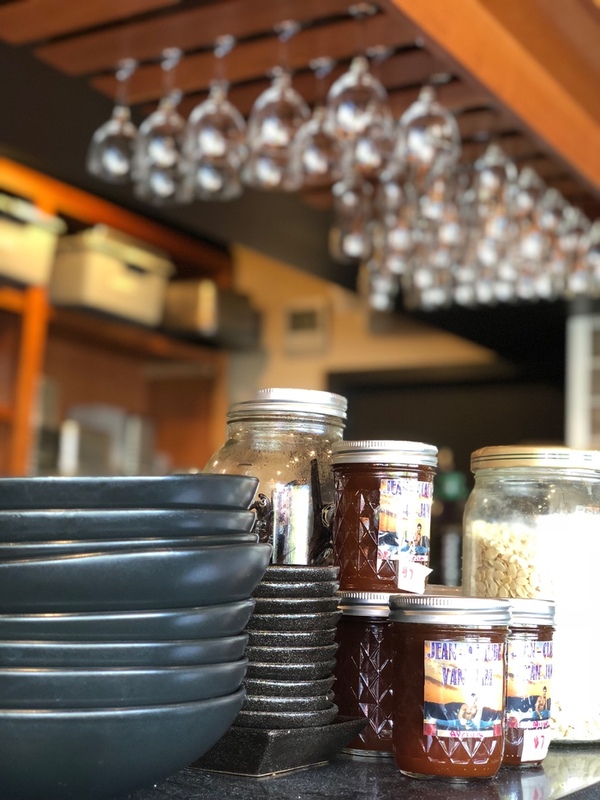 Bremerton is not yet a young and happening commuter town for those looking for a bustling life and work balance, but there is no reason for it not to get there if things keep moving in Nightshade’s direction. Do you recommend Nightshade? Make your voice heard!